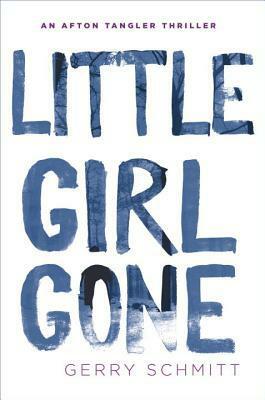 Little Girl Gone ( An Afton Tangler Thriller) by Gerry Schmidt – Books, Books and More Books! Normally a book by this author would be reviewed on my cozy mystery site. Why? Because this is author Laura Childs, author of the best selling Tea Shop Mysteries, The Scrapbook Mysteries, as well The Cackleberry Club Mysteries. Laura Childs is a pen name. This is her first book under her own name and it is most definitely not a cozy mystery. A 3 month old baby has been taken from her own crib, leaving a beat up babysitter and shattered parents. Time is of the essence in getting the child back home and Afton has a good instinct for solving crimes and reading people. I am glad to see Ms. Schmidt has jumped into the nail biting, edge of your seat world of thrillers. And she has done it extremely well. While her cozy mysteries all have strong female leads who run businesses and every now and again help solve a murder or two, I have always thought, these women need to be detectives! Well, now we have that. And I can’t wait to see what is next! Gerry Schmitt is the author of the Afton Tangler Thrillers, and, writing under the pseudonym Laura Childs, the New York Times bestselling author of more than thirty-five novels, the Tea Shop, Scrapbooking, and Cackleberry Club Mysteries. She is the former CEO of her own marketing firm, has won TV and radio awards, and produced two reality TV shows. She and her professor husband enjoy collecting art, travel, and their two Shar-Pei dogs.